Here is your chance to save money on your next tire purchase! As long as a tire is made, we can get any size, brand or style of first line tire that you are looking for. If you don't see the quantity, size or brand you are needing, email us or call 1-888-513-8473 and we can create a listing for you. Since tires are not what anyone really looks forward to buying, most of our customers ask us to find them "a great deal". So, we scan the globe looking for great deals on tires. 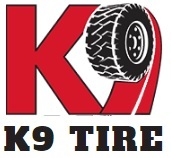 We specialize in closeouts, overstocks, discontinued and blemished tires. When we buy these "deals", we buy them very reasonable, and in "as is" condition, with no written or expressed warranty. We sell these tires "as is, with no written or expressed warranty". Our intention is that the tire will perform when you get it, so even though we sell our tires with no warranty, after receiving the product we offer a 14 day, no questions asked, return policy on any UNMOUNTED tire that we sell. Your only obligation is that you (the buyer) pay the return shipping, and a 15% restocking fee if you decide to return the tire. In the case where there is a workmanship materials warranty issue, and if the manufacturer will cover the tire for you, we will be happy to supply you with the name and contact number (or web site) of the manufacturer. Since we are not direct with any manufacturer, we have no way to offer any warranty on a tire, but we can get you in touch with the manufacturer so that you can ask for whatever warranty is offered through their dealer network. Again, we are not a dealer for any manufacturer, so any warranties that you receive will need to come from the tire manufacturer. What is a closeout, overstock, discontinued or blem tire? There are many reasons that a manufacturer will sell tires at a discount. With over 500 brands of tires, and over 5,000 sizes, plies and speed rating options (and more every day! ), manufacturers have a good idea of what they will sell, but their guess is never perfect. For example, how many snow tires do they build when the tires have to be built 6 months before it starts snowing? What laws will be passed in each of our 50 states that may outlaw the use of a studded tire? What does the manufacturer do once they are built and can't be sold where they usually were sold? They discount the tire to get rid of them, and someone that has a market for the tire buys them. What happens when an auto manufacturer changes the size that they used to put on the car, to another size? someone like us buys the tire hoping that we can find a home for them. What happens when performance cars go from running raised white letters to black-walls? The manufacturer can't just keep building them at the pace that they were, so they dump the inventory to someone at deal. What happens when a tire has sat around "too long"? Manufacturers and distributors will discount tires when they are past the prime selling season. For instance snow tires do not sell once winter is over, so they make room for the summer tires by discounting an out of season tire. What happens when a tire has been determined to have an imperfection? Manufactures typically call that a "blemish" or a "second". There are many issues that may determine a tire to be a blem or second. Here are a few: It could be an imperfection in the whitewall or white lettering (such as a black spot), it could be an imbalance issue where the tire may require more weight to balance or may not ride as nice as a first line tire. We have seen slight height differences meaning shorter or taller than factory specs. It could be that there is a defect in the inner liner that would require the use of tire sealant, or the use of a tube. It could be that there is a rubber compound issue that would make the tire wear faster (if too soft), and cause premature weathering (if too hard). We have seen tires that had a ply rating on one side, and a different ply rating on the other side (because someone forgot to change out the mold plate). We have also seen one name brand on one side, and a different name on the other side. There may be a small cut or "nick" in the sidewall, tread or bead area that are not what you would find on a first line tire, but the tire will still run. All manufacturers are not looking for a liability problem, so if they thought that the tire was not safe, they would not sell it. If there is a major problem, tire manufacturers may be asked to recall the product (no different than in the case of an automobile recall). The highway safety commission has a list of all tires that are recalled. We do not sell recalled tires. In any case, we do not carry the ability to warranty the tire, so the manufacture or their dealer network needs to be contacted with any defect or warranty concerns. Blems are usually marked with the letters "BLEM", or "SECOND" by the serial number. Buffed letters are another indication of a blem or second. We personally inspect each tire before we ship. 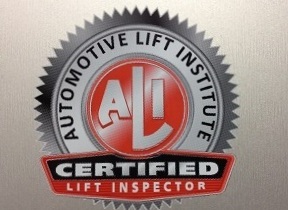 We try to make sure that the tires we ship are free of any defect that may cause a tire not to function. How often are closeouts, overstocks, discontinued and imperfect tires available? It seems that we always have in the vicinity of 10,000 tires in stock. We know what we have in stock, but we never know what we are going to have on the next load until it gets to our warehouse so check back often for new inventory. Most items will ship within 1 business day of payment. When tires are shipped, we may tightly tape, or use a strapping machine to band the tires to get the best shipping price possible for our customers. When our tires are un-banded, the radial tires will regain their form immediately, but bias tires such as the Light truck, ATV and mower tires will only take shape when they are inflated on the rim. They may need to be stretched with a tube, spread with a few boards between the beads or sat in a warm area before mounting. We currently only ship to the 48 Continental United States. Please email or call us at 1-888-513-8473 for any shipping rates. By purchasing the item in the listing you have accepted the terms of our policies. With our volume it is impossible for us to take actual pictures of every item being listed. Our pictures are to be used as a reference to the tread design and not the actual photo of the item. Any rims pictured are NOT included unless stated in the title of the listing. If no quantity is listed the auction is for 1 item. We buy tires by the semi load to save you money. We have over 30 years experience buying, selling and mounting tires. We have several warehouses full of tires, so if you don't see the quantity, size or brand you are needing email us or give us a call and we can create a listing for you. We sell these tires "as is, with no written or expressed warranty". Our intention is that the tire will perform when you get it, so even though we sell our tires with no warranty, after receiving the product we offer a 14 day, no questions asked, return policy on any UNMOUNTED tire that we sell. Your only obligation is that you (the buyer) pay the return shipping, and a 15% restocking fee if you decide to return the tire. Again, we are not a dealer for any manufacturer, so any warranties that you receive will need to come from the tire manufacturer. After the 14 day return period, there are no returns on tires. We sell all of our new equipment with a 1 year warranty and our intention is that the equipment will perform to your standards when you receive it. After receiving the product we offer a 14 day, no questions asked, return policy on any equipment that we sell. Your only obligation is that you (the buyer) pay the return shipping, and a 15% restocking fee if you decide to return the item. After the 14 day return period, there are no returns on equipment.